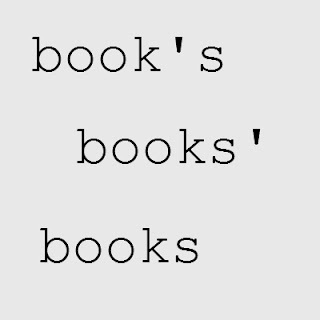 Apostrophes are an essential element in punctuation, but so many authors get their placement confused — or worse, leave them out entirely. A tiny little apostrophe can change the meaning of a sentence entirely, and when a wrong one appears it might just lead readers astray. Always be careful with your apostrophes, and learn how to use them well to make sure your words are getting the point across. Apostrophes serve many extremely important functions in language; certain words could never even exist without them. To understand how to use apostrophes correctly, you’ve got to understand how, exactly, they’re used. In certain circumstances, apostrophes can be used to represent missing letters — this is the case in absolutely every single contraction. Words likecan’t, don’t, you’re and all the rest rely upon apostrophes to exist. We get so used to seeing contractions, it’s easy to forget what they mean, easy to forget the function of the apostrophe. But without it, you’ve got two words that sound stiff and formal. In the examples above, without the apostrophes you’re working with cannot, do not and you are. The apostrophe takes the place of the letters and spaces that you’ve eliminated. It’s important, because many writers have used the apostrophe as a device in dialogue. Certain regions of the world have their own specific accents and sayings. For example, no self-respecting southern writer would pen a tome set in the southern US without the word y’all in it. Brits are known for sayingi’n’it, a bastardization of isn’t it, and in words like this the apostrophe is essential to make the text understandable to readers who might not be familiar with regional speech. Because the apostrophe in y’all takes the place of the missing o and u, you can never write this word as ya’ll — though I’ve seen this in several situations. It’s wrong, and it’s truly an insult to apostrophes everywhere (not to mention southerners). When you use contractions for any reason, don’t ever forget what the punctuation actually means. Apostrophes don’t always represent missing letters; they’re also an integral device if you want to show ownership, or possession, of any object (or idea, or person, or what-have-you). For example: This is Jade Varden’s blog. Now, the apostrophe clearly shows that the possession (the blog) belongs to Jade Varden (that’s me! ), and the apostrophe placement is correct. See what happens when I put it in the wrong place: This is Jade Vardens’ blog. When the apostrophe appears after the s, rather than before, it’s used to denote plural possession. In the sentence above, the apostrophe suggests that there is more than one Jade Varden (which is no good for anybody, not to mention confusing for all the readers). The only time, and I mean the onlytime, the apostrophe is placed after the s is to show possession of any object or objects by more than one person. It’s used for plural possession, and only then. I touched on this problem briefly in a previous post, but it bears repeating because this is a mistake that I see literally every single day. It seems the apostrophe is a little too common and a little too useful, because a ton of writers from the casual to the professional want to shove it into the middle of words where it absolutely doesn’t belong. It certainly is a cunning little piece of punctuation, and I love using it as much as the next blogger, but there are times when you’re going to have to keep the apostrophe from crashing your party. Otherwise, everyone’s going to know you have no idea what you’re writing. Again, and I cannot seem to stress this enough, apostrophes are coupled with the letter s only to show possession. I can have possession of this blog, the words I write, an idea, the pair of glasses I wear when I don’t have my contacts in my eyes, my fingernails. I can have possession of all these things because I am a person. Animals may also have possession — I might say my cat’s coat was shiny. The cat is mine, but I’m not in possession of the shiny coat of hair — my cat is, so that’s where the apostrophe goes. But when I am pluralizing something, because there’s more than one of those things, I only need the letter s. For example, my cats have shiny coats. No apostrophe, because I’m already showing possession with the word have. If I eliminate that word, I’ll have to bring the apostrophe back to show the possession (otherwise, the reader won’t know who has the shiny coats): my cats’ shiny coats…. When you are simply pluralizing an object, you only need the letter s. Remember that, and don’t let a spare apostrophe show up and completely change the meaning of the sentence. By the same token, if you’re attempting to show possession and you don’t include an apostrophe, you’re muddying the reading waters in a different way. Proofread all your apostrophes, and make sure they’re only where they’re supposed to be, and nowhere they shouldn’t. This post originally featured on Jade Varden’s author blog on 15th June 2012. This entry was posted in Guest Posts, Writing 101 and tagged apostrophes, author support, author thoughts, Jade Varden, punctuation, technique, writing 101, writing skills. Bookmark the permalink.